Social media is a relatively new phenomenon, but it is one that can impact on the employment relationship. A recent case has highlighted the importance of employers keeping their policies and procedures up to date. An employment tribunal found that an employer had fairly dismissed an employee when she made comments on Facebook which reflected badly on her employer. The employee, who had worked for the same company for 17 years, had become disenchanted with her employer. But, instead of discretely complaining to her friends, she took to social media and described her role as “general dogsbody” and she referred to her place of work as “that bloody place”. She also said that she would “need to hurry up and sue them”. The employer in this case had introduced a new social media policy in December 2015, in which it set out a non-exhaustive list of the sort of things that employees should not do. This included making comments which could damage the company’s reputation or its relationship with any of its customers or suppliers. 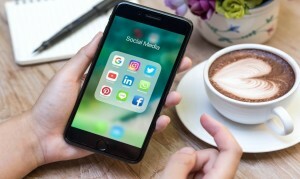 The employment tribunal found that even though this dismissal could seem harsh because of the employee’s long service, she had clearly breached her employer’s social media policy and therefore it was reasonable to dismiss her. Had the employer not kept up with the times and put in place a policy covering social media usage it would not have been able to fairly dismiss this employee.